Aprons are very on trend right now! They have so many applications and are used across many industries – barbers, cafes, restaurants, day spas, hairdressing. 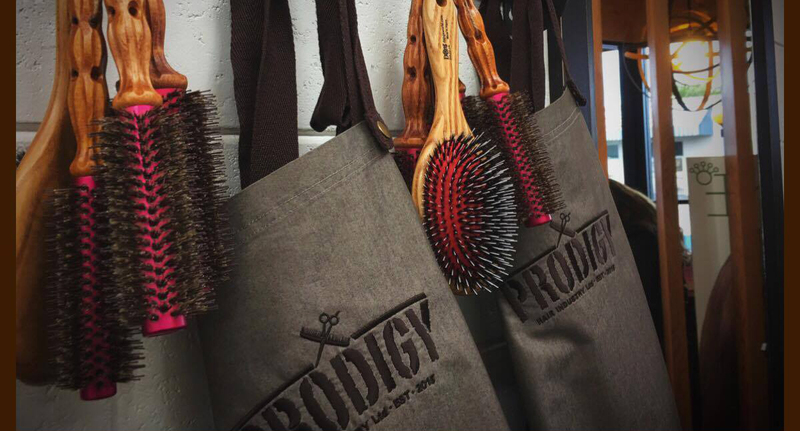 Check out some of our gorgeous customers in their aprons – the team at Prodigy Hair Industry look great in their embroidered urban aprons with cross over ties at the back. Prodigy’s apron length was customised to suit their requirements.